A must for safety in the shop and on the job! 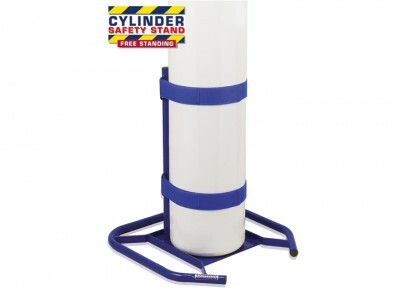 Conwin’s Cylinder Safety Stand features a flat baseplate that provides greater stability. Two adjustable Velcro® safety belts secure all size cylinders..
Visit our Service & Support center for more information.n.